I’m so sorry to have gone MIA for so long! It was a crazy couple of months and then we went on a fabulous whirlwind tour of Australia 🙂 So no complaining here but I am happy to be back home and back in the kitchen!! And just in time for an awesome Thanksgiving recipe!! 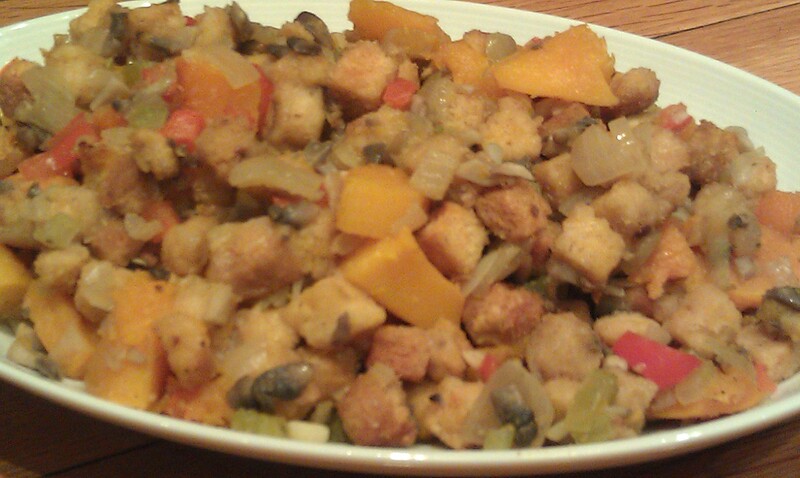 What are your favorite vegetarian Thanksgiving recipes/dishes? I would love to hear from you!! Heat oven to 400°F. Spray sheet or roasting pan (I needed 2 pans – but I also made extra squash for buttnernut mash- nice to be able to double duty the recipe!) Spray pan with nonstick cooking spray and roast squash for 25 minutes. 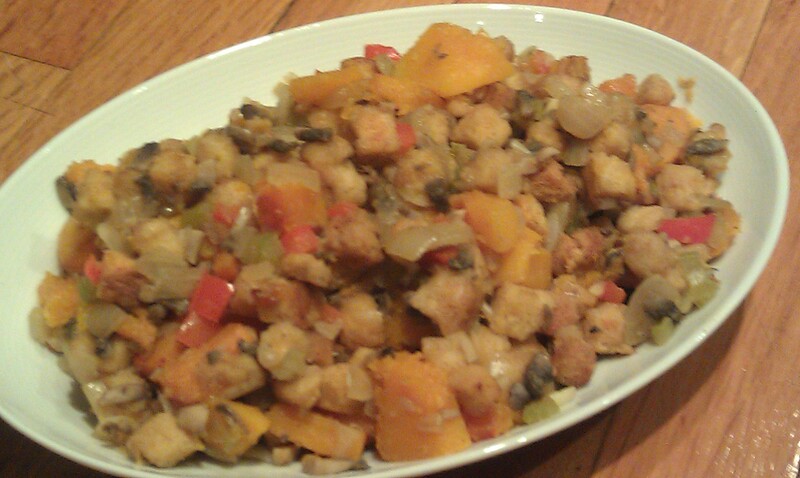 Rotate squash and cook for an additional 20 minutes. Set aside and reduce heat to 350°F. In a saute pan or wok – heat canola oil and cook onions, pepper, celery and mushrooms until onion is translucent. Add garlic, cook for one minute more and remove from heat.